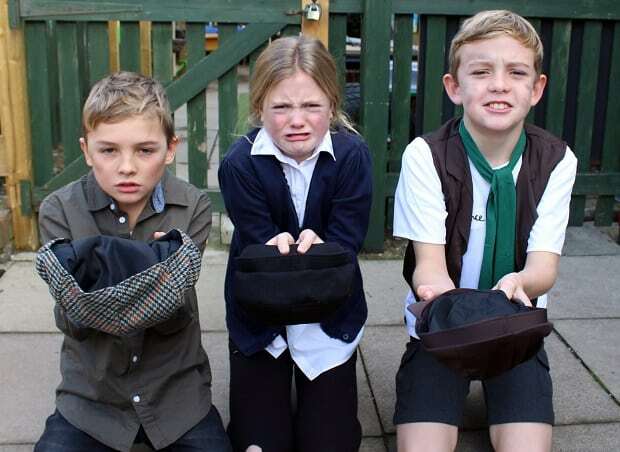 Childhood in Victorian England came alive for pupils at Chilton Primary School in Ramsgate. Gone were the high-tech learning resources and friendly teachers, replaced for a day by strict learning and writing out repetitive lines using chalk and a board, silence unless you were spoken to, and sitting upright in serried ranks. 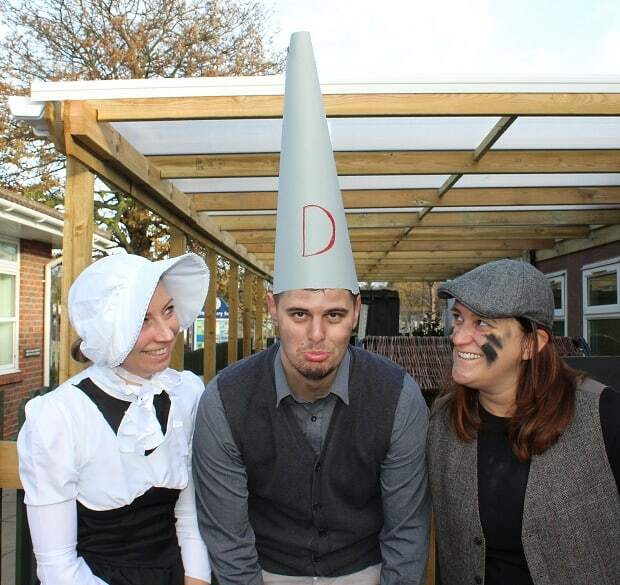 There was the dunce’s hat for anyone who stepped out of line, a measly helping of gruel was served up, practical skills like sewing were learned, and the day began with standing up straight and singing the National Anthem to show their pride and respect for the British Empire. 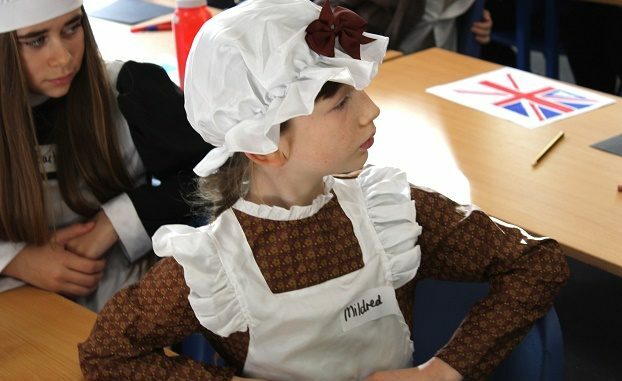 To add to the Victorian Day experience, children in Year 5 dressed in period costume as they explored what life was like for children and their families in the 19th century. 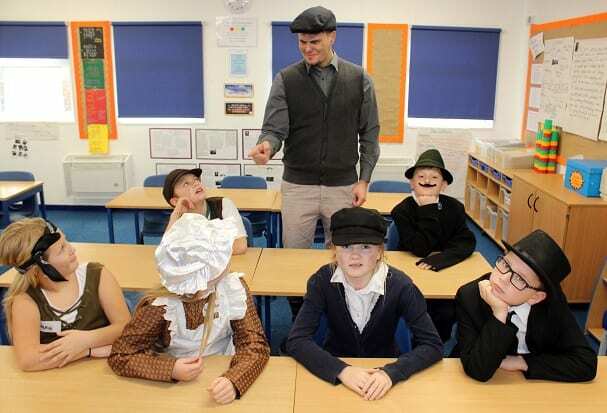 A mix of characters populated each class from well-to-do toffs in their fine top hats, tails, crepes and crinolines, to street urchins and workhouse children. 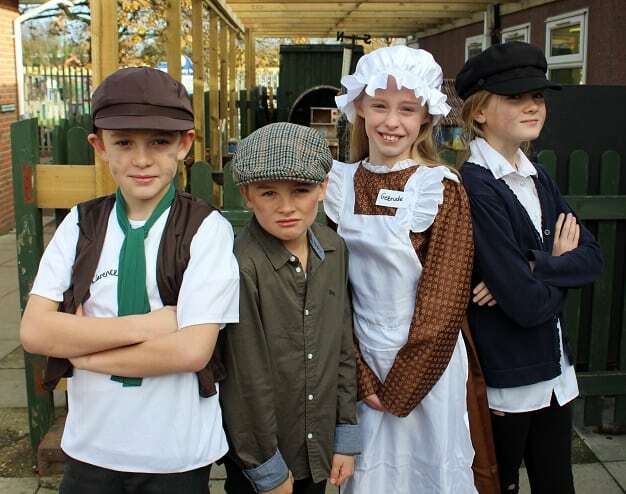 The aim was to give pupils a feel for what childhood was like in this era and the sort of jobs children would face such as working in the factories and coalmines. 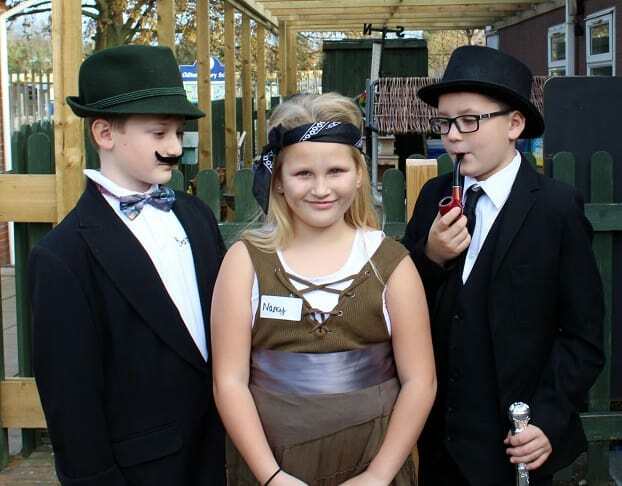 Each pupil was given a Victorian name for the day to add to their experience, such as Watson, Gertrude, Bernard, and Ernest, and lessons also featured spelling and times table practice. The classes also took part in Victorian games using hoops and skipping ropes in activities; playing hop-scotch; and taking part in ‘pitta-patta’ with their partner and creating their own song and routine. They also watched clips from the classic film version of Charles Dickens’ Oliver Twist to link in with the current text they are studying called Street Child. Assistant Head of School Matthew Lamprell said: “It is really important that children have the opportunity to participate in enrichment days that link to English/topic areas as it broadens their understanding and experiences through rich, relevant and engaging activities.